Phytotoxins are poisonous substances produced by plants, mostly for reasons of protection and compound transport. The study of these substances has yielded many new medicinal products both for humans and other animals. This book provides a concise and comprehensive source of information on plant toxins. Jeffrey Barry Harborne FRS was a British chemist who specialised in phytochemistry. He was Professor of Botany at the University of Reading, then Professor emeritus. 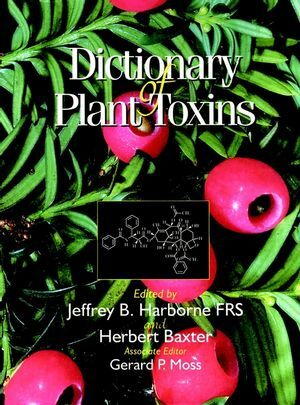 Herbert Baxter is the editor of Dictionary of Plant Toxins, Volume 1, published by Wiley.